In 2013, OVRDC became one of five Regional Transportation Planning Organizations (RTPOs) under the Ohio Department of Transportation (ODOT). As an RTPO, OVRDC has begun to plan a robust regional transportation system for eleven rural southern Ohio counties. The RTPO service area includes the counties of Adams, Brown, Fayette, Gallia, Highland, Jackson, Lawrence (rural area), Pike, Ross, Scioto and Vinton. We work on a wide range of projects, including data collection and analysis, project planning, grant writing, and project funding research. Please review the current FY work program under ‘Resources’ below to see current projects and program structure. To read our 2040 Long Range Transportation Plan see the links below. For project funding opportunities check out our Funding page. 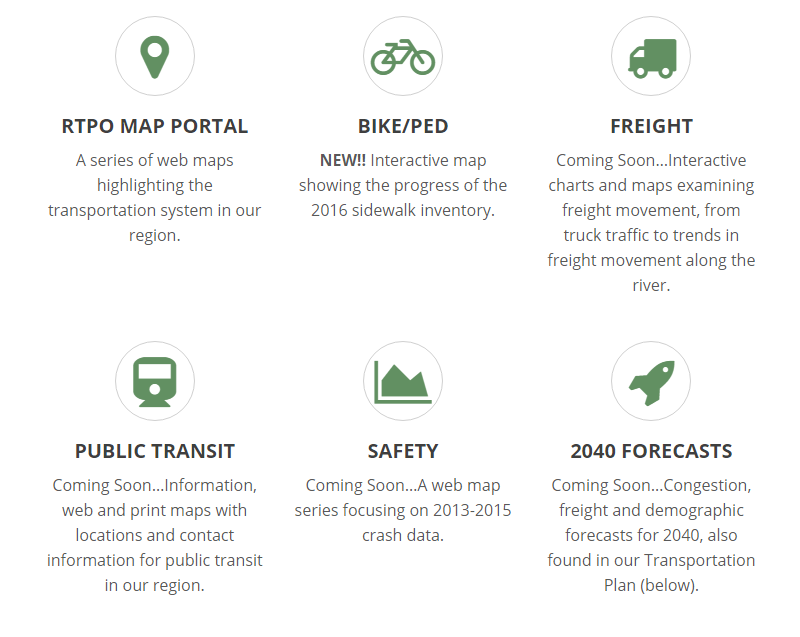 A series of web maps highlighting the transportation system in our region. Information on the 2018-2021 OVRDC Transportation Improvement Plan or RTIP. A web map focusing on regional crash data. The RTPO was created by ODOT in effort of planning robust regional transportation system. The resulting RTPO’s Comprehensive Transportation Plan provides an opportunity to coordinate economic and community development with transportation planning efforts and to enhance regional cooperation and communication. Click the menu below to view the LRTP.